CareerBuilder is one of Sweden's and the world's largest players in the segment of Internet-based recruitment and publishes every month over 9,000 jobs in Sweden on www.careerbuilder.se. Unionen is the largest union with over 600,000 members. Newstart is Unionen’s career partner and offers a number of career opportunities for members and head members at a discounted price. Civilekonomerna is Sweden's largest trade union for economists. Newstart is responsible for all CV and letter examination and interview training for Civilekonomernas members. Newstart is a member of The Entrepreneurs an organization whose aim is to create better conditions to start, operate, develop and own businesses in Sweden. NEWSTART is a member of Contractors Founders Alliance network. Founders Alliance works with business development of entrepreneurial growth companies with the objective to increase the opportunities for Swedish entrepreneurs to grow faster and more efficiently. 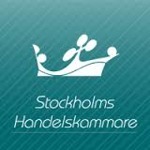 Newstart are members of the Stockholm Chamber of Commerce. Stockholm Chamber of Commerce promotes issues that are crucial to creating better conditions for growth and competitiveness in the metropolitan area, Stockholm and Uppsala. As a member, we help to shape opinion and influence decision-makers so that the region can develop into a more attractive location for both businesses and people.